etc. etc. etc. etc. etc. etc. etc. etc. etc. etc. etc. etc. etc. etc. etc. Even if photographs are glued into an album, it doesn’t mean that they don’t have helpful information on the back. Very carefully try to remove a few of the photographs to see if this is the case. 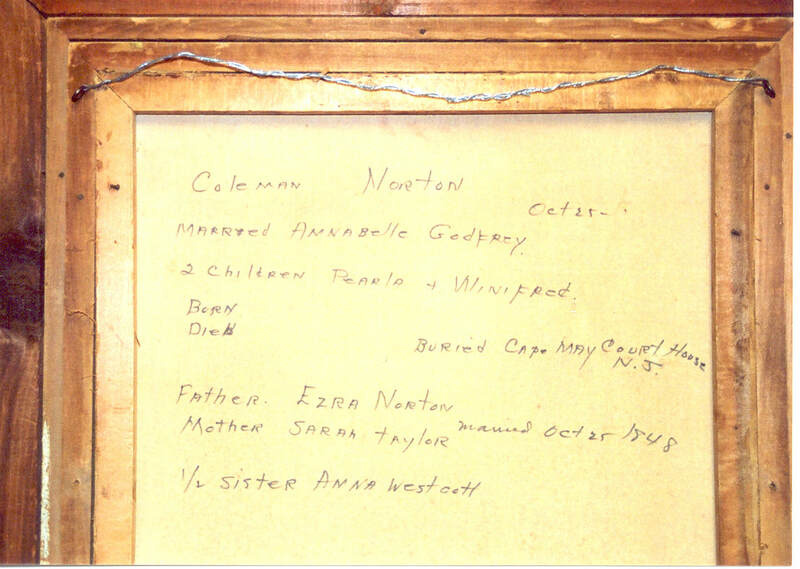 It was common in the late 1800’s and early 1900’s to write genealogy information on the back of portraits hung on the wall. Make sure to check the backs of pictures you or your relatives have. Also in the early 1900’s it became popular to put a magazine picture over a family portrait or to layer multiple pictures in a frame. Don’t get rid of any frames without taking them apart and checking for family photos. Older papers have developed static over time. Be certain as you handle these papers that you are not accidentally throwing away something that is still clinging inside an envelope, to the back of another paper, or inside a file folder. Do not necessarily rely on the judgment of others concerning the worth of a particular item. My grandmother gave me a newspaper article that she said was interesting, but didn’t contain any new information. I have been able to complete a family I was working on and add two more generations to the line because of the information I was able to glean from this article. Although you may not find much information in a particular record, it may lead you to other records that will help advance your searches. This is particularly true of employment and military records. School report cards, pictures identified with the location of the photographic studio, receipts etc. will all help you place a family in a particular location. Do not assume that someone else will protect the information they have access to. My grandmother's step children threw away many of her photo albums when they helped her clean her basement one time. DON'T ASSUME.